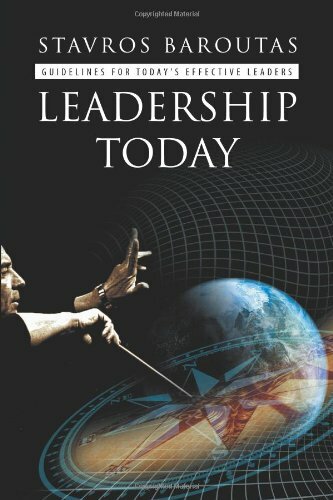 Leadership Today is a useful, informative, profound and insightful book that clarifies and sums up various definitions and features of the personality of a true leader. It is of no secret that many people these days clamor for a competent leader. However, it is the author’s contention that in order to obtain such dream to manifest into reality, the public must first be able to identify the categories of an efficient leader. Stavros Baroutas brilliantly enumerates certain qualities that separate a leader from a follower, not a very easy task considering how frustrating it may sound when people tend to cease searching for them when one does not seem to meet such expectations. Multiple features, qualifications and standards of what constitutes a capable leader are being discussed in this book. Indeed, it is very timely that this book has been produced especially at a crucial point when great leaders are in high demand. Most applicable in the field of business and entrepreneurship, this book helps identify the relevant factors to which the leaders of a corporation could identify their organizational structure. The information in this work helps to find key elements to boost performance and production from company employees. Also, the compelling pages of this book allow readers to explore the factors behind the phenomenon of procrastination and lack of motivation from individuals who used to perform with ardent passion and love for their work. The author delves into how leaders can adhere to such dilemma and what attitude should be applied when dealing with these deficiencies. Providing readers with relevant answers to questions and problems that are commonly encountered in today’s business companies, this book helps every manager smoothen out tangles and bumps along the transition period of every change in the growing business setting, an inevitable occurrence in the professional and corporate trend. These are just a few of the many useful points that this beneficial book can offer.